In this page math terms startingwith p we are going to see definitions of mathematical terms starting with the letter "P". We have listed out almost terms in math starting with P.In math also it is very important to know the meaning of many important words which are being used in the subject math.Each term is defined and examples are provided where ever it is necessary. Links are given for every words, by using this students can learn the meaning and its application more clearly. Two identical or corresponding things that are matched together. A number that reads the same forward or back ward. Example: 11, 121, 75257, so on. 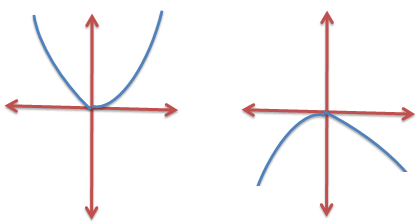 In conic section parabola is the curve formed from all the points (x,y) that are equidistant from the directrix and the focus. 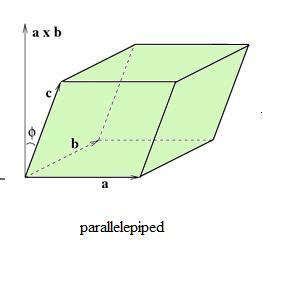 In three dimensional geometry a parallelepiped is a prism whose faces are all parallelograms. Path ways are laid in big plots, fields and grounds, along breadth wise, length wise and both breadth wise and length wise. A parallelogram is a quadrilateral in which opposite sides are parallel and equal in length. In other words opposite sides of a quadrilateral are equal in length then the quadrilateral is called a parallelogram. 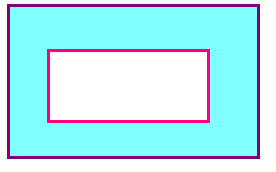 The length of the particular shape is called perimeter. 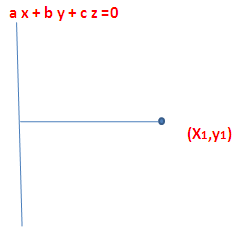 In this method we will have two functions known as x and y. Each function will be defined using another third variable. To understand this topic more let us see some examples. 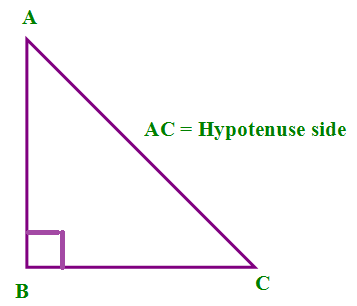 The side AC is called the hypotenuse of the right triangle. The side which is opposite to 90 degree is called the hypotenuse side and it is the longest side and is opposite to the right angle. Greek mathematician Pythagoras has found that the length of the square on the hypotenuse is equal to the sum of the length of the squares on the other two sides. That is AC² = AB² + BC². This is knows as Pythagoras theorem. The method of differentiation when we have two x related functions which are multiplying is called product rule of differentiation. Place value of a digit depends on its position or place in the number. Each digit's place has a value of 10 times the place to its right digit. The numbers, we use today, 0 to 9 which are known as Hindu-Arabic numerals. In any number, the right most number denotes the one's place. Next number denotes the tens place and left to tens denotes the hundreds. To read easily the numbers in the standard form, commas are used to separate a group of three digits. Power set is nothing but the set which contains all possible sub sets of a particular set. Let us consider a set which has been named as set A. There are “n” numbers of elements in the set A. That is “n” is the cardinal-number of the set “A”. Now power-set of A is also a set which is having all the possible sub sets of A and that particular set is denoted as P(A). Since there are “n” umber of elements in the set A, we will have 2ⁿ elements in the power-set of A. Percentage is the way in which we express a number in terms of fraction of 100. The word "PERCENT" is formed by the combination of the two words "PER" and "CENT". That means per hundred. Usually, marks scored by the students is represented as percent. That is, how many marks the student has scored out of 100. Polynomials is the algebraic topic. An algebraic expression, which have only non negative powers of the variables is called polynomial. Profit and Loss is also one of the important topics in which questions are frequently asked in SAT exam, SAT preparation and other competitive exams. These are the words in this page math terms startingwith p.